The website allows you to review the work of other DRI publishing teams—their publishing categories, titles, business models, breakthroughs, and victories. What other areas are doing can help you expand your vision for what is possible for you in your situation. We are creating this new system of resourcing together, one step at a time, learning as we go. Though the teams are quite young, DRI's goals are already being achieved for the church in those places. Our churches in Malawi, Zimbabwe, and the Philippines are experiencing increased access to resources for Christian learning and leading. To see the tites DRI teams have developed thus far and that are in planning, see Partners. Conferences leaders and their publishing teams are growing in knowledge, experience, and skill needed for undertaking sustainable small-scale publishing in economically challenged contexts.To see the training that has taken place thus far and is anticipated, see Training. 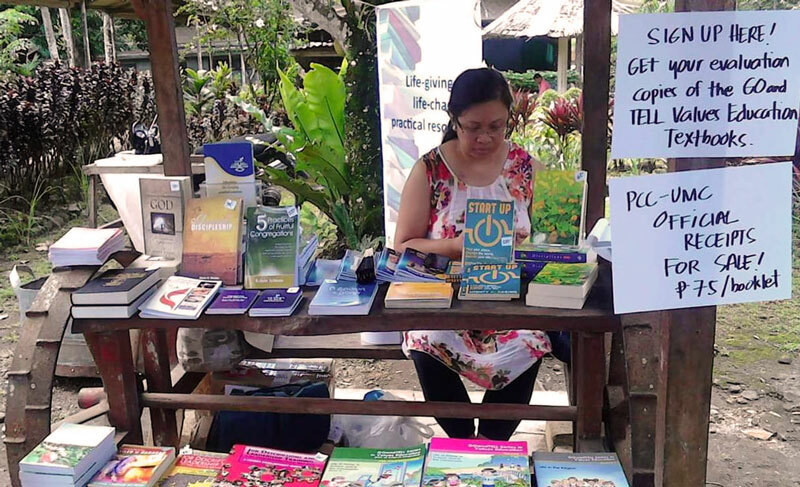 New African and Philippine authors are writing indigenous content for the church and replenishing the resource pool that is available to the global church. To see indigenous formats and content being developed, go to Resources and click Indigenous. Publishing teams are transcending the isolation in which Central Conferences often function by sharing resources across national, linguistic, and even continental boundaries through the DRI network. You can see the resources that have been shared thus far by going to Resources and clicking Recently Shared. Through the work of the DRI teams, parts of Central Conferences in Africa and the Philippines are already beginning to experience the first fruit of the dream that inspired the Sustainable Resourcing Initiative of the 2008 General Conference, the denominational initiative that moved Discipleship Ministries to create DRI in 2009.